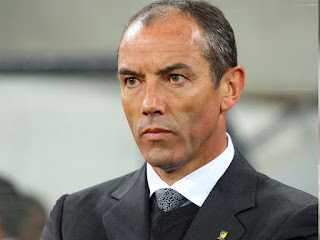 The newly appointed Super Eagles Technical Adviser, Frenchman Paul Le Guen has been reported to have rejected the Nigeria Football Federation NFA offer. Paul Le Guen who was yesterday named by Technical and Development Committee of the Nigeria Football Federation is expected to lead the Super Eagles qualifying campaign for the 2018 World Cup, against Algeria, Cameroon and Zambia. It was said that he refused the employment because the Nigeria Football Federation NFA failed to meet his terms and conditions.